One of my favorite Raf Simons for Jil Sander collections is the SS||2011 one in which he explored his talent for ultramodern couture, which we enjoy to see in his collaboration with Dior. 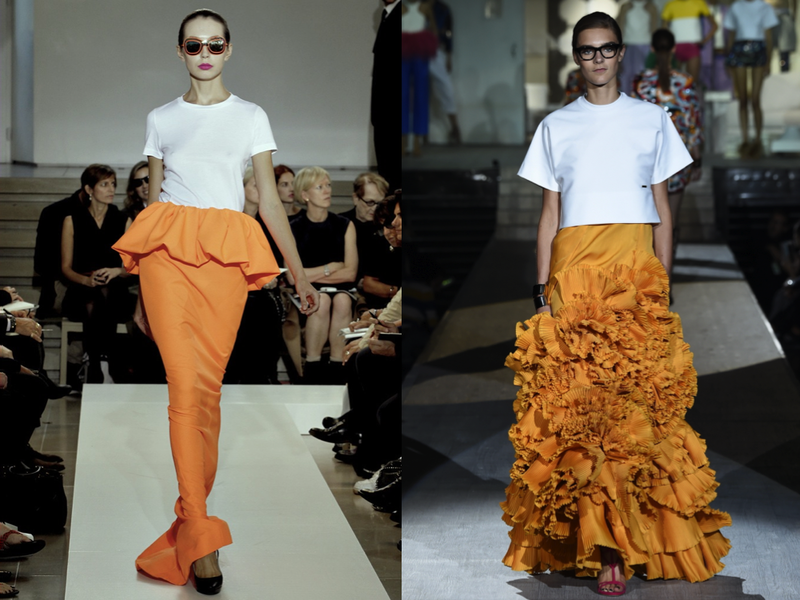 That season he sent down the runway a very glamorous yet understated styling by mixing a long peplum skirt with a simple white t-shirt [left]. Dean and Dan Caten for SS||2015 confirm that blending couture with casual is indeed a great idea [right].